Picture this scenario: A new project begins and you and your team are off to a good start. Resources have been planned, assignments have been assigned, deadlines have been set, and everyone’s ready to work. All of the sudden, the project changes and you find yourself reorganizing everything. With efficient teamwork, most obstacles can be pulled through. But what happens when you need to bring more people in for the project to work out? One of the most common obstacles organizations face is that they often need to introduce new project members in the middle of the project. Changes in requirements, customer demands, and staff turnover are only some of the unexpected factors that call for this. – If team members need to be replaced, who could you replace them with? – Ask yourself which parts of the projects would be at risk if team members were to leave. If team members were to jump in, what are the things they should absolutely know in order to carry it on effectively? Try to foresee places in the project plans where the project team might need to change. Transitions usually occur at a particular lifecycle or milestone, in which case, you could prepare some team members ahead of time. Joining a new team in the middle of a project is never easy. Help the new team member by taking the time to walk them through the current and past projects. Be available to them and start building a god relationship with them. How quickly can you reassign project tasks in order to not overwhelm certain team members? Some teams may even find it useful to invest in software that can help with assignment scheduling. When new people are brought on, ensure they feel like they are part of the team. 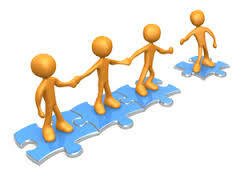 Keep bringing the whole team together by encouraging everyone to collaborate and holding frequent meetings. This will keep everyone in the know and on the same page. Any advice on integrating new team members? Share them with us!